(KZN.RU, May 30). Today, mass events dedicated to honoring the team “Ak Bars”, will take place in Kazan. The start of the events was given in the building of the Kazan Executive Committee, where the “Gagarin Cup” paid a visit. Ilsur Metshin, the Mayor of Kazan, heads of structural divisions of the Executive Committee and heads of city districts met the legendary trophy and made memorable photos with it. 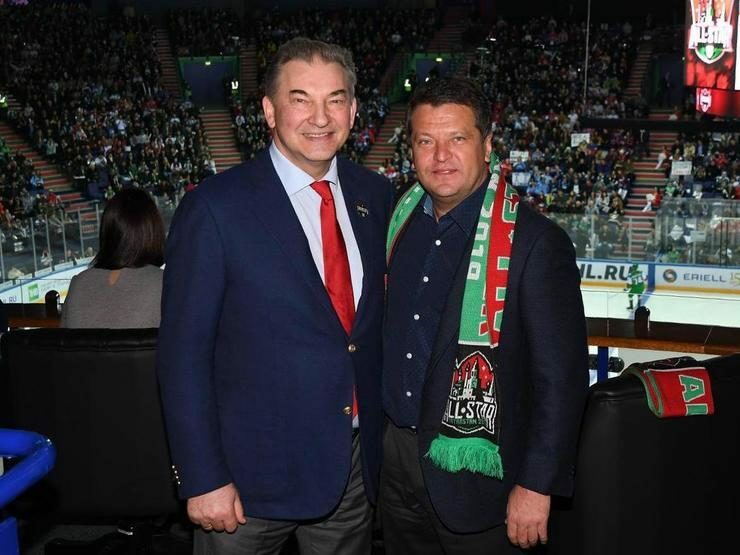 Rafik Yakubov, the president of the HC “Ak Bars”, also attended the event. The championship parade starts on the May 1 Square, in which the hockey players themselves will participate. They will greet and thank their fans, residents and guests of the city. The Gagarin Cup has already been engraved with the name of the team and 50 names of the leaders and hockey players, thanks to which it was in Tatarstan. As the press service of the hockey club “Ak Bars” reports, an extensive program for exhibiting the cup has already been designed. The trophy will be carried not only at official events, it will have a big tour around the Republic of Tatarstan. Also, according to the regulations, each player of the team can take a cup for several days to their homes, and this possibility is already actively used by hockey players. In addition, this year the cup will visit Sabantuy and various children's educational institutions. After the Executive Committee, the Gagarin Cup will go to the Kazan Kremlin, where the team will meet with Rustam Minnikhanov, the President of the RT. At the end of the meeting, hockey players and coaches together with the Gagarin Cup will make a pass through the territory of the Kremlin to the May 1 Square, where the championship parade starts. Vladislav Tretyak, the president of the Russian hockey federation, will give the hockey players gold medals of the country champions. On April 22, the Kazan “Ak Bars” won the Gagarin Cup, winning in the fifth match of the finals in CSKA. The team became a three-time winner of the main hockey trophy of the Old World for the first time in the world of sports history, becoming a five-time champion of Russia.